Organizations with Microsoft environments, such as Azure or Office 365, are inclined to implement Microsoft’s native access management solutions (namely, Azure AD and AD FS). Defaulting to Microsoft’s cloud SSO solutions may appear to be the best choice, a closer examination of these solutions reveals critical downsides, as well. 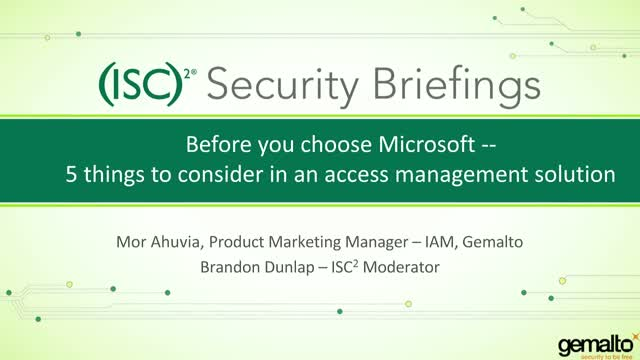 This Security Briefing will examine the five things to consider before implementing Microsoft’s access management solutions. You will also see a demo of how you can centrally define access management policies (including cloud SSO and step-up authentication) for Microsoft and 3rd party apps with a vendor agnostic-solution.